FamilySong Music Classes at Chautauqua Park - Get Involved. Make Friends. Enjoy Motherhood. FamilySong Music Class is Boulder and Denver’s new music class for families! 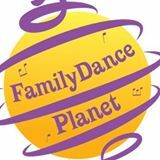 FamilySong Music Class is a multicultural music and movement class taught by long time music teacher Kristin McLean. Families sing, dance and jam to live drumming and guitar, sing songs from around the world, jam out on drums and other instruments, dance with silk scarves, interact with the ‘featured instrument of the week,’ sing with puppet friends, play call and response musical games and more! Each 10 week FamilySong Music Class comes with a New CD, featuring original songs and traditional songs from Africa, Indonesia, South and North America.Join us for our 4th annual FamilySong summer music classes at Chautauqua Park starting in June. Bring your blanket and your babies, and I’ll bring my guitar, drums, instruments, scarves, puppets and more. FamilySong music class is a multicultural celebration of song and dance, singing songs from around the globe about our seasons, our earth, community and celebration. Come sing and dance with us under the clear blue Boulder sky!